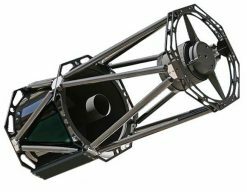 Brand new 12″ f/8 Carbon Fibre Truss Ritchey Chretien astrograph from GSO. The all new design features carbon fibre truss poles and CNC machined components providing exceptional rigidity and light weight. 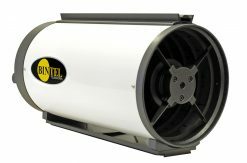 Standard features include D-style mounting rail attached to the top and bottom of the lower part of the tube assembly. 3″ Linear Crayford focuser with 10:1 fine adjustment. 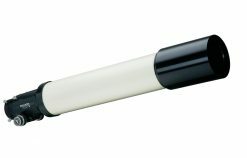 Supplied with 2″ – 1.25″ adapter. Also includes 1x 50mm and 2x 25mm extension tubes allowing flexibility with backfocus requirements. Ample backfocus of ~285mm allows use of large format CCD cameras, filterwheels, OAGs and rotators. 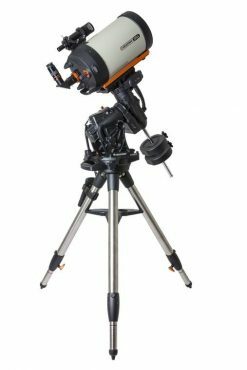 A Ritchey Chretien astrograph with features to please imaging enthusiasts is finally here. 300mm f/8 true Ritchey Chretien provides excellent light grasp and resolution. 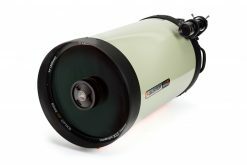 The focal length of 2438mm results in suitable image scale for a multitude of deep sky targets. 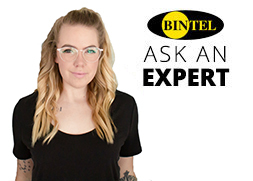 Bintel’s RCA series feature precision figured hyperbolic primary and secondary mirrors made from low thermal expansion quartz substrate with durable, high reflectivity dielectric coatings (>99% reflectivity across the entire visual spectrum). 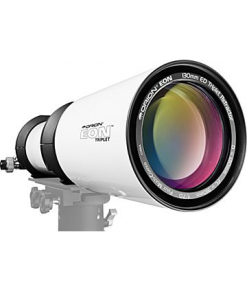 As it contains no refractive optics there is no chromatic aberration at all – none. Dovetails Supplied with 2 x Losmandy (D style) Dovetails. A series of CNC-machined heaxagonal aluminium support rings form the basic structure of the optical tube. 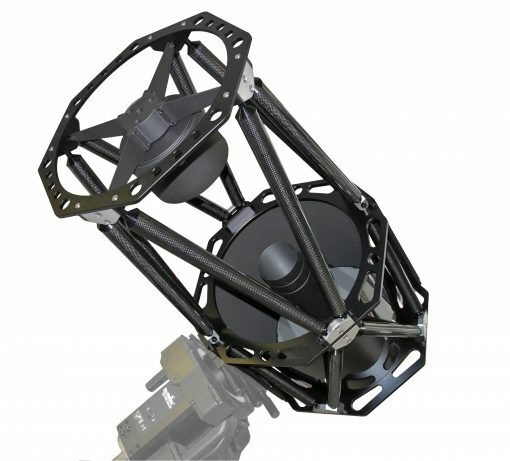 Carbon fibre tubes connect the support rings in a Serrurier truss design. The front two rings (381mm diameter) support the spider vanes which support the secondary mirror housing. The two rear support rings (438mm diameter) have Losmandy (D style) dovetail bars on them for mounting to mount and for accessories to mount onto. 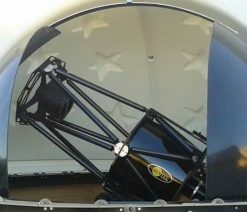 The serrurier truss system, first designed by Mark Serrurier whilst working on the 200″ Hale telescope at Palomar mountain in 1935 has been used to stop flexure in telescopes. 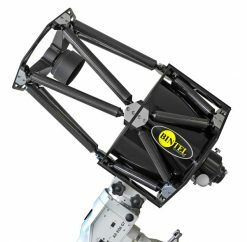 It works by supporting the primary and secondary mirrors with two sets of opposing trusses before and after the declination pivot point. The trusses are designed to have an equal amount of flexure, which allows the optics to stay on a common optical axis. 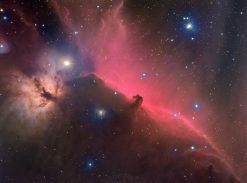 By having one set of trusses working against the other set of trussess ,thereby keeping the optical elements parallel to each other. 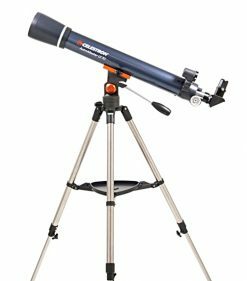 This keeps the scope in collimation regardless of where the scope is pointed on the mount. The use of Carbon Fibre truss tubes eliminates the changes in focus due to thermal expansion. 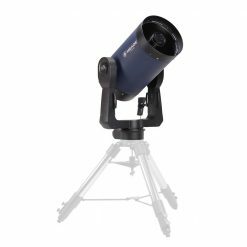 Another great feature of these RC telescopes is their fixed primary mirror. The distance between the primary and secondary mirrors is precisely set during manufacturing to optimize optical performance. 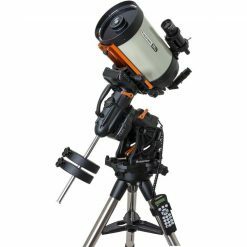 All focusing is done using the 3″ Dual Speed Linear Crayford focuser meaning focus is precise with no mirror shift commonly encountered with SCT and similar scopes. The backfocus of 288mmm from the rear cell is tuned by the addition of extension rings. Three precision machine anodised aluminium rings, 1 x 50mm and 2 x 25mm, which can be used independently or in unison to get the required spacing correct from rear cell to camera sensor. 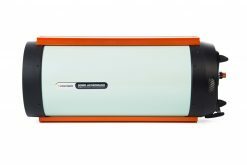 The 288mm allows for use of most imaging equipment, from DSLR cameras to filterwheels and CCD cameras. 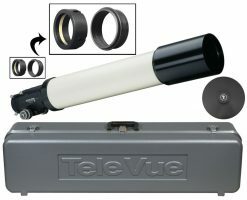 Supplied with new upgraded, heavy duty 3″ dual speed linear Crayford focuser. Supplied with D-Style wide dovetail mounting plate on top and bottom of scope. 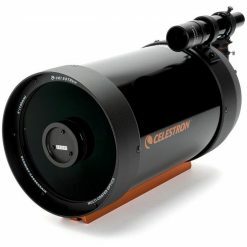 Supplied with 3 threaded extension tubes that connect between the OTA and the focuser allowing correct spacing for CCD equipment. Features newly designed baffle tube to suppress internal reflections.